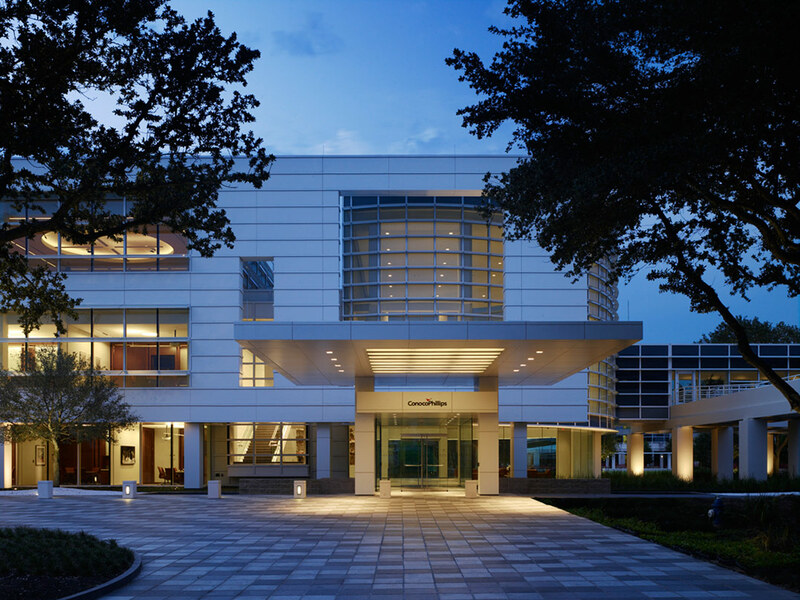 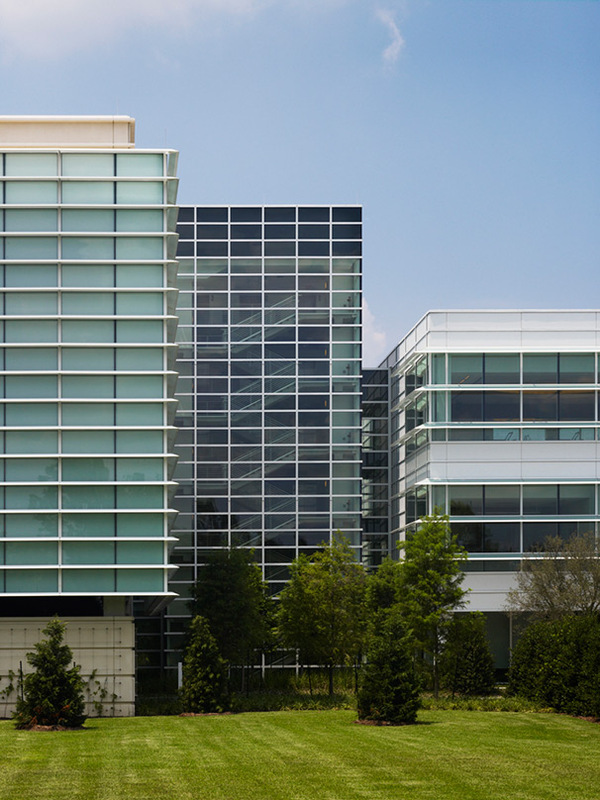 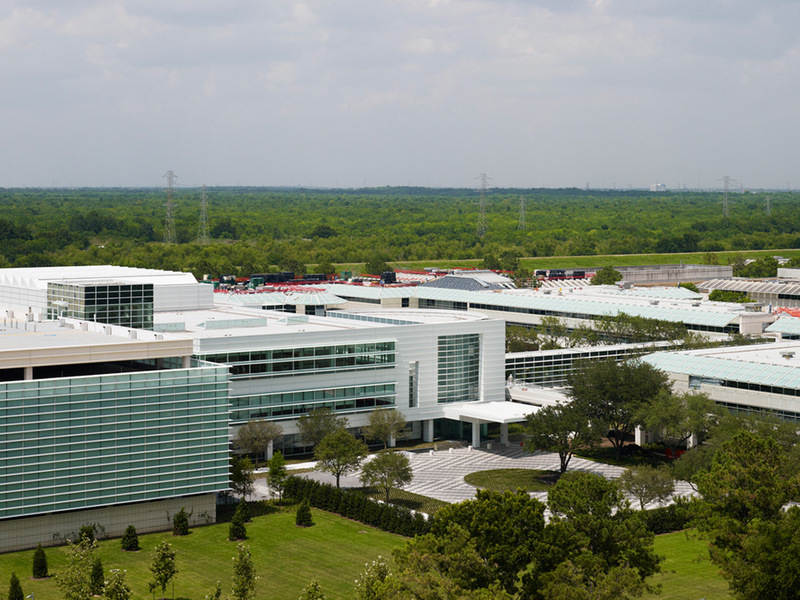 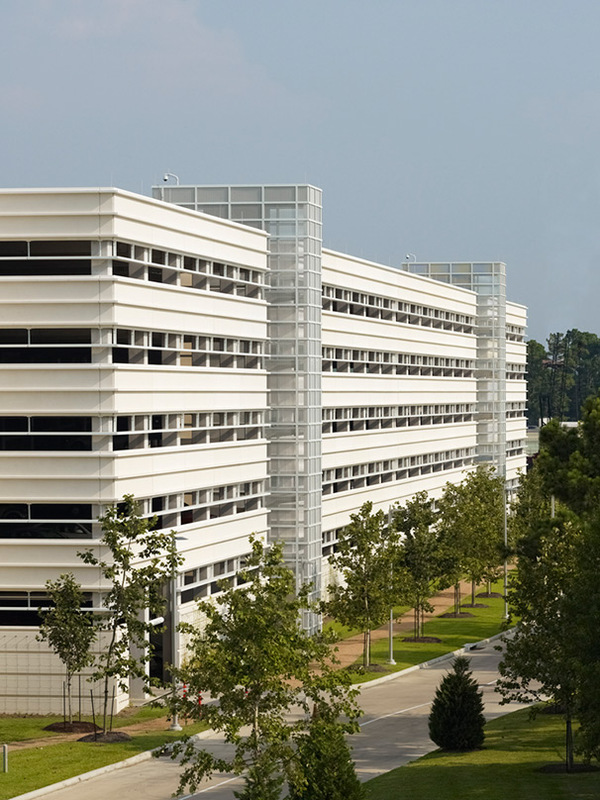 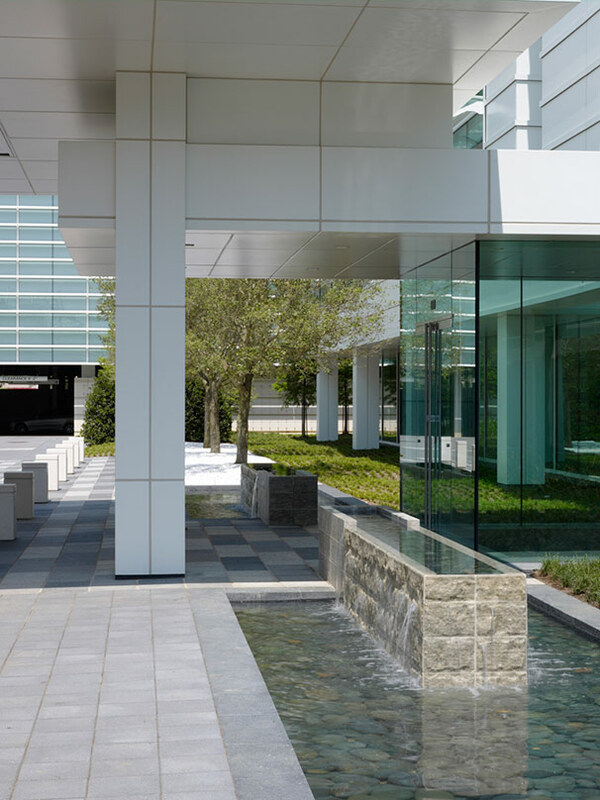 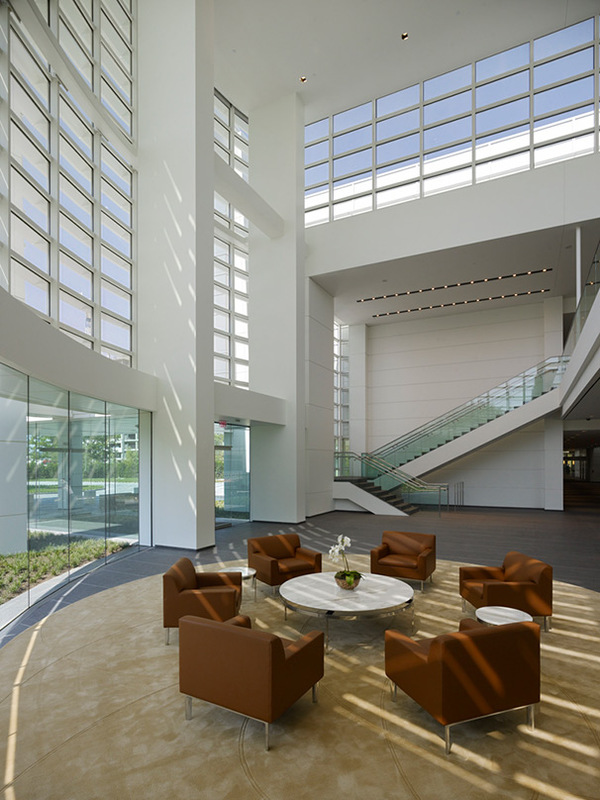 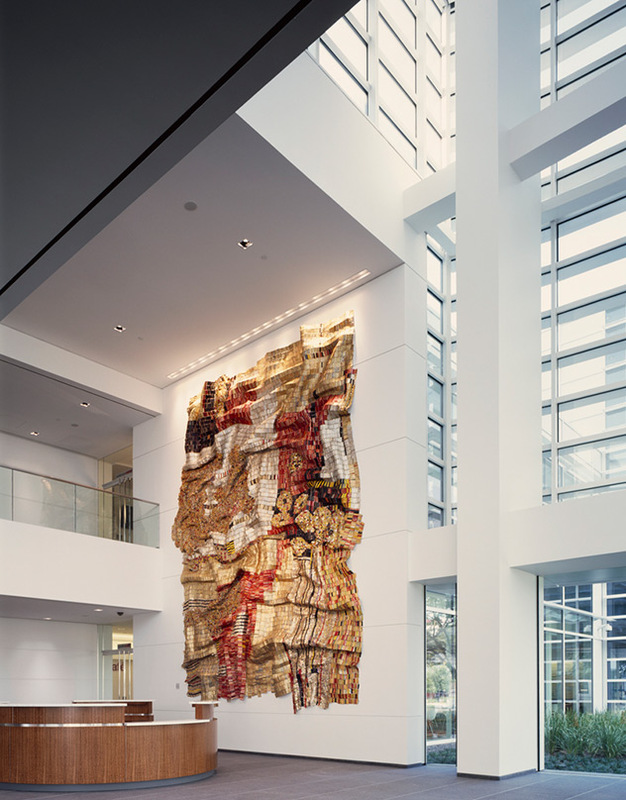 Expanding ConocoPhillips’s corporate campus in Houston required sensitively integrating new facilities into the existing complex, while enhancing the workplace environment and updating the corporate aesthetic. 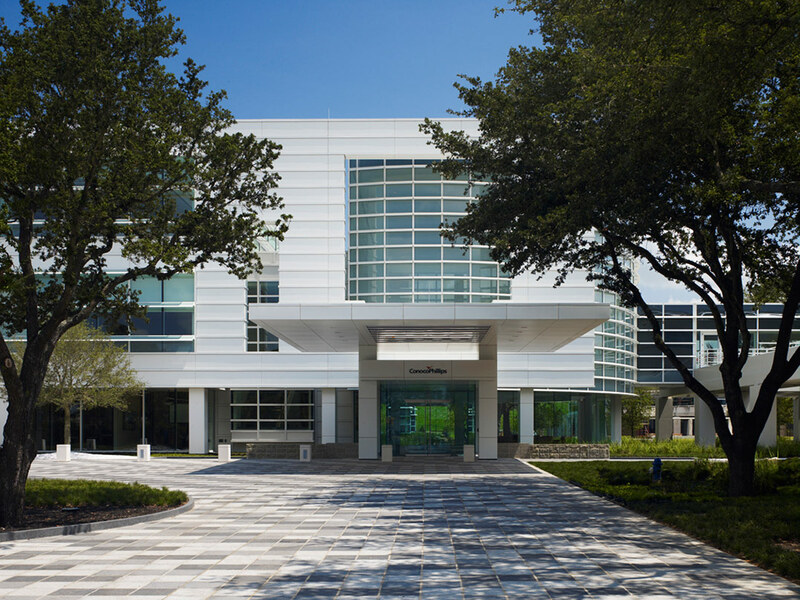 New facilities include a central reception area for the entire campus, multiple conference and meeting facilities, and a fitness and wellness center. 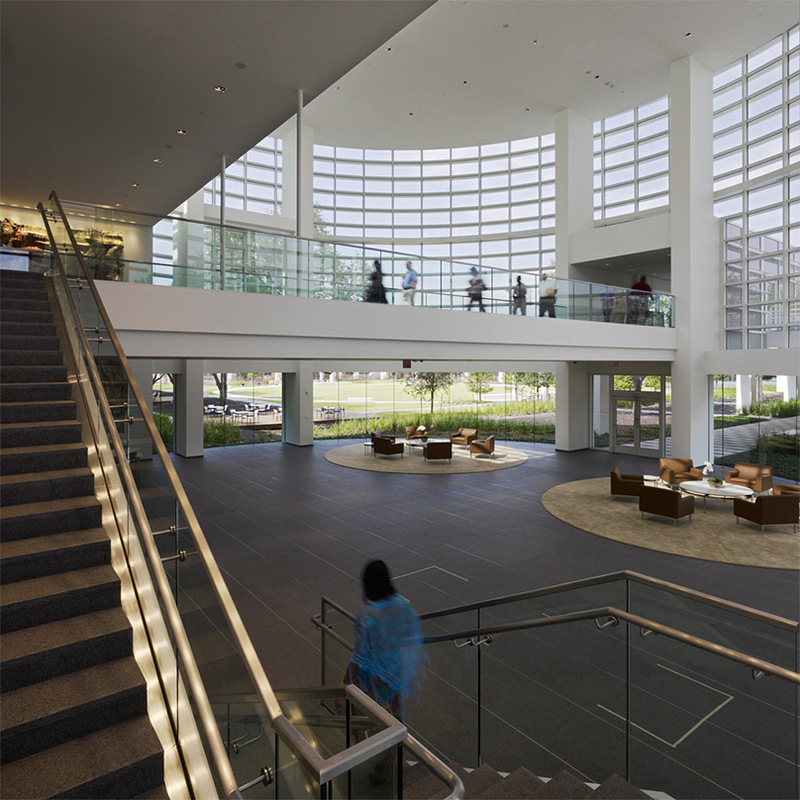 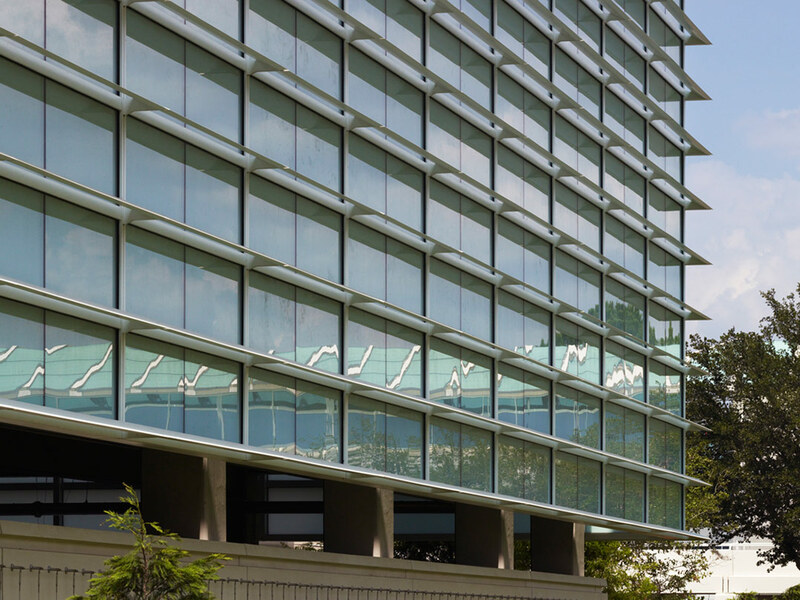 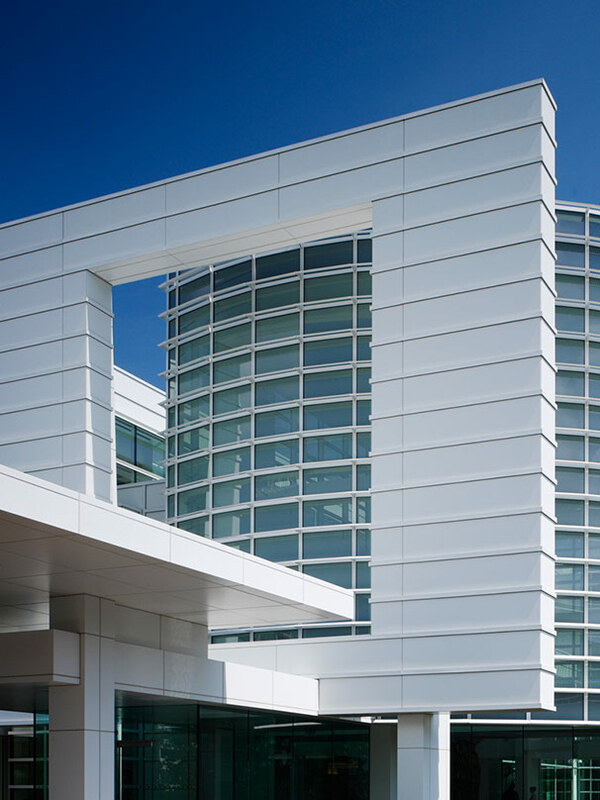 A double-height, glass rotunda is the focus of the new facility, creating a welcoming arrival point for visitors coming to the new entry court, and for employees on their daily route from the new six-level parking garage. 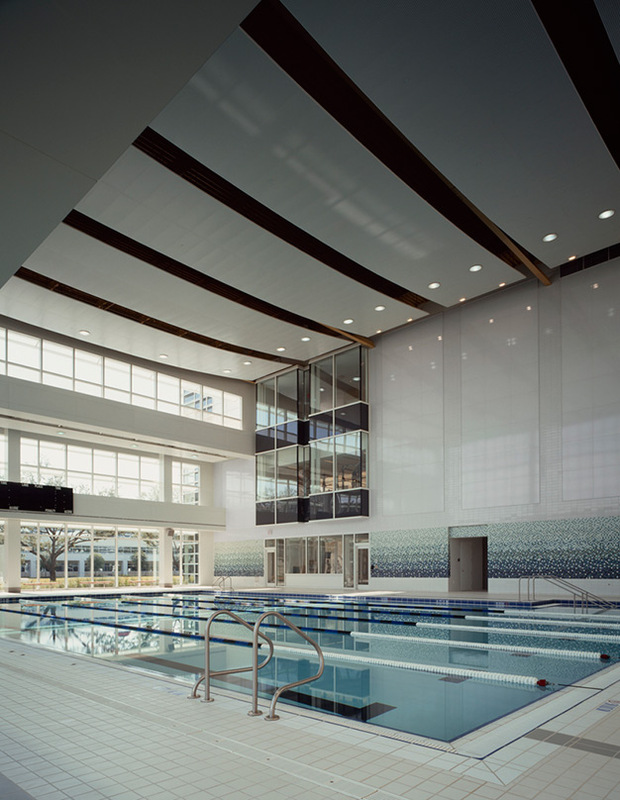 Nearly all of the 3,000 campus employees take advantage of the fitness center, with its indoor swimming pool, gymnasium, four aerobic studios, cardio and strength training rooms, a wellness and medical center, locker rooms, and a snack bar. 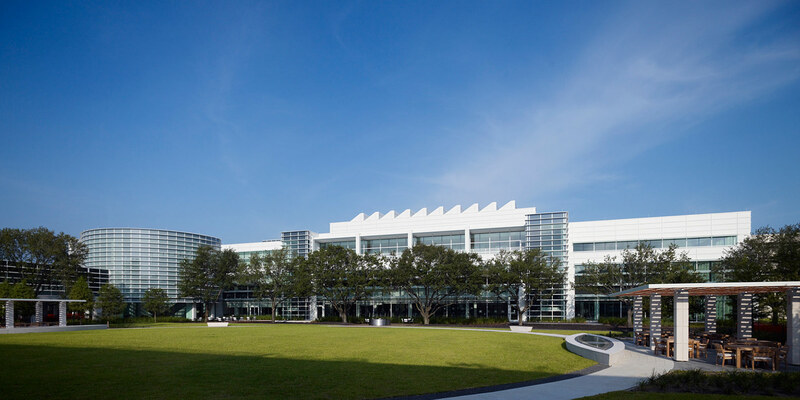 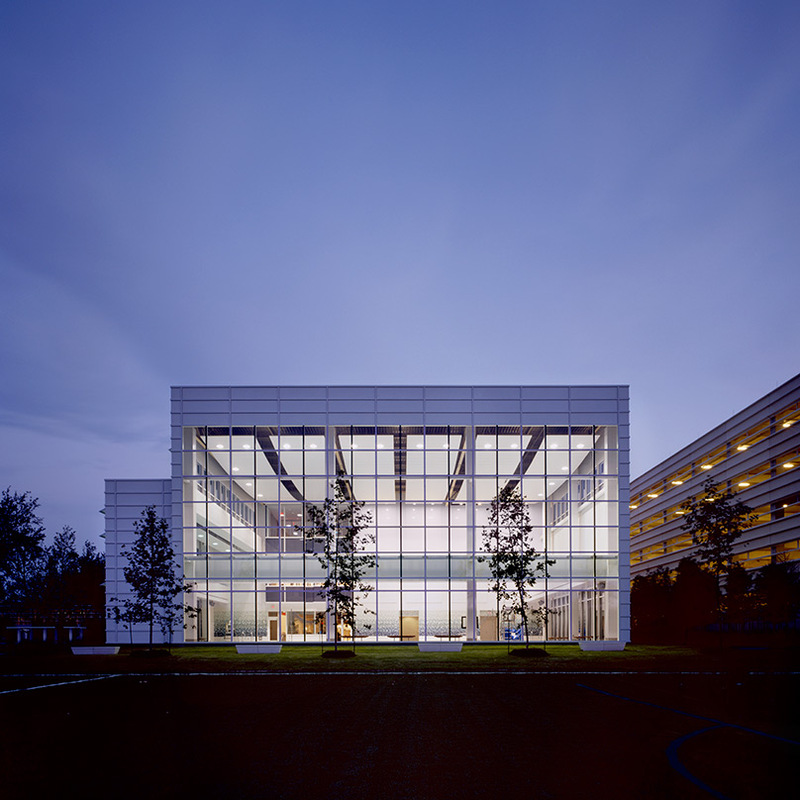 The location of the new building creates a new courtyard that can host company-wide events. 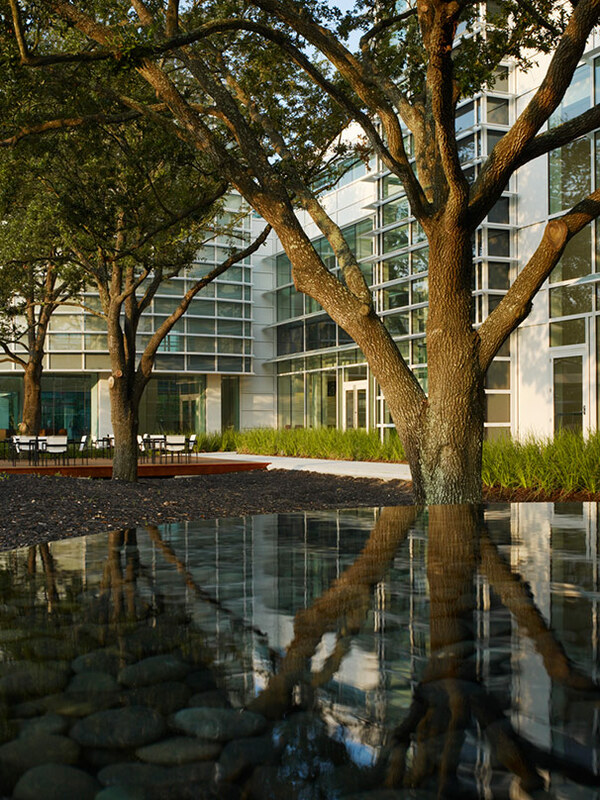 The courtyard offers trellised dining areas, garden courts, water features, and a new pedestrian walkway that links West Campus to the rest of the workplaces.